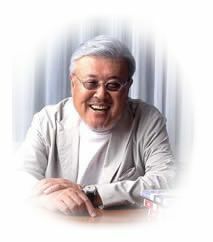 We here at Children of The Blazing Fist are fans of Japan’s famed Colonel Sanders impersonator Kazuo Koike. Series like Crying Freeman, Wounded Man, and Lone Wolf and Cub have entertained us to no end with absurd exploits with this gekiga (dramatic pictures) movement’s long withstanding torch-bearer. Yet while he is a great representation of this form, he is not its earliest practitioner. That title goes to Yoshihiro Tatsumi. 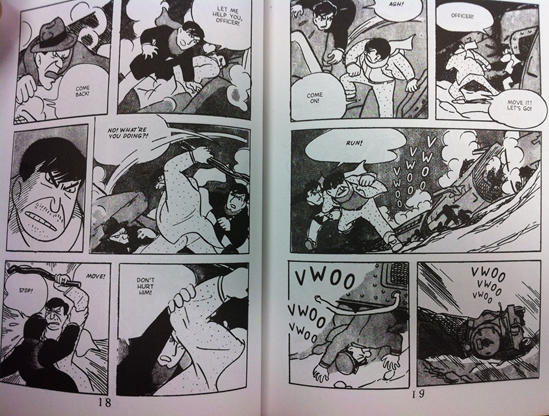 Tatsumi’s fight to counter modern (at the time) ideals about what manga represented as a medium influenced future writers; going as far as at one point influencing Osamu Tezuka. 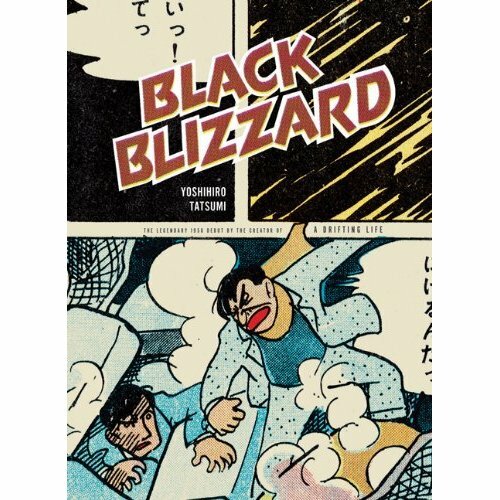 But instead of hitting up one of his more gritty stories during his heyday, I decided to drift back to 1956 where a twenty-one year old Yoshihiro Tatsumi sits at his desk, as he works on tonight’s review known as Black Blizzard. 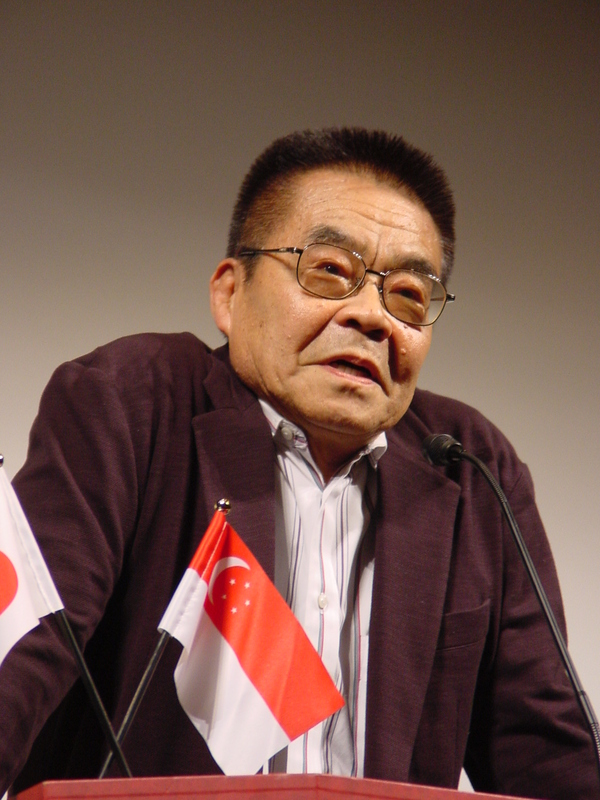 Yoshihiro Tatsumi is best known in the States from his 2008 memoir work A Drifting Life, but has other titles published here like Abandon the Old In Tokyo and The Push Man and Other Stories. To be honest, my experience with Yoshihiro Tatsumi before Black Blizzard was his short story Lover’s Bride found inside the pages of AX Vol. One. This story details with an often heard commonplace in Yoshiro Tatsumi’s manga; the discouraged man who is brought down by the woman in his life. And as I will go into detail later, contrasting the two really showcases just how far his art style has come in fifty years (you might be surprised to learn that he still keeps many of the same traits). Young Pianist Susumu Yamaji finds himself arrested for murder, handcuffed to a rough-and-tumble stern looking man (who remains nameless for the gestation of the manga), and is being escorted by an officer on a moving train shooting to God knows where through the mountain side. The heavily packed snow mountain drop contrasts with the rocky terrain under the railroad tracks, but as Susumu reads a letter from his dear friend Saeko, the conductor yells of a landslide on the tracks ahead. The conductor’s quick attempt to slow down the train causes it to jump off the rails. The man handcuffed to Susumu takes this opportunity to pull him from the refuge and flee, just as a blizzard starts to cover the panels. Their trek hits a snag when they come to the conclusion that being handcuffed will only slow them down. The gruff man believes that the only way to successfully escape is for one of them to cut off their arm. This is unthinkable for Susumu who works specifically with his hand, yet the same is said about the gruff man’s career as a professional Card Shark. Finishing their argument, they stumble upon a Ranger’s cottage where they get in from the cold, then elaborating on why they were arrested in the first place, delving especially into Susumu’s relationship to his friend Saeko and her role as a traveling circus performer. From what I have heard/read from summaries of his other work off of Drawn and Quarterly’s site, Black Blizzard this might just predate the sorrow filled stories of overworked salary men that are pushed too far by their wives, to the point that they retaliate through physical (if not sexual at times) force. I consider Black Blizzard to be a male comradely story that has you play at a “catch up to the protagonists” pace that slows down only at the end. Yet it keeps a gruff edge to it, with Susumu’s alcohol stained broken aspirations convincing him outside of the murder that he is blamed. This one is by no means trying to make you cringe at what the characters are doing to each other. I wrote earlier that I will be contrasting tonight’s review, specifically the artwork, with that of a more recent Yoshihiro Tatsumi’s work. The distinctive shading and crosshatching that made Lover’s Bride stand out to me can be found in here, but done with much thicker strokes. 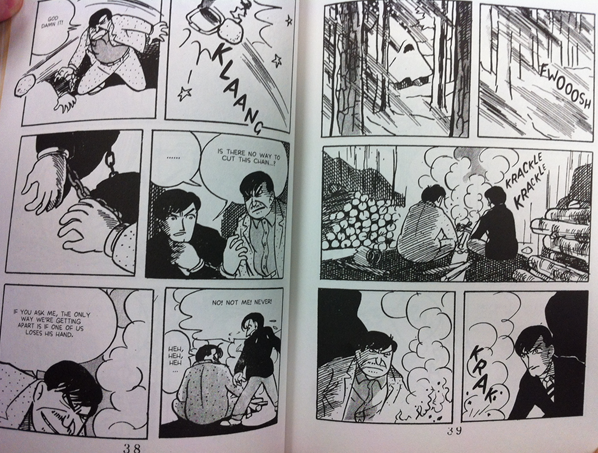 Clothes and objects have a same level of thickness to them that makes me think that they were all done with a stamp (the Q&A at the back of the book has Tatsumi bringing to attention drawing plates that contained the four basic printer colors of black, red, yellow, and blue that added certain densities of color to the panels). Tatsumi’s character designs share a “square” or “boxy” look to the way their heads are shaped (making everyone look akin to Tatsumi himself and CTBF’s writer Alex Hajdar) that I consider a staple of even his modern work. Everyone’s faces reminded me, Susumu’s especially, of the henohenomoheji faces that pop up in Japanese comedy from time to time, thus taking some of the tension out of this super serious work. Pros: A relatively quick read that never stops to take a long breath. The stern man was by far the best aspect of Black Blizzard, from his demeanor and crass attitude, to his overall character design. Q& A in the back spreads some interesting light on the manga industry at the time. A rather humbling ending that makes the journey worth the investment. Cons: To keep up with its own pace, expository dialogue is bleated out haphazardly and sticks out as making the characters just too easily convinced to share their life stories. Character designs could be considered distractingly simple at times. Black Blizzard pretty tiny when you see it in person. Yes the literal size is bigger than your average tankobon, but this twenty-dollar Drawn and Quarterly release is nowhere near even one hundred and fifty pages. This in mind, I suggest this one as something that you loan out constantly to friends, or read it over again in its entirety when you have a little less than thirty minutes to kill. To be honest, I am playing with the idea myself, and this is coming from someone who is in desperate need of sleep as tomorrow’s classes’ loom overhead. I have no idea if this is just a problem with the release copies that I found (used…I bought it used sitting next to many others), but the pages are yellowed similar to something maybe published originally so those many years ago. I bring this up because this release is only from 2010. If you do not see this on any copies you might find, then my comment holds no water and you can ignore it.